Want to visit the top 10 Best Beaches in Goa for exploring water sports like Scuba Diving, Jet Ski, Parasailing, Bumper ride, Banana ride, Speed Boat Ride? Here is the top list of the top 10 and best beaches in Goa. Beaches in Goa are the top major attractions of visitor that draw the attention of national as well as foreign visitors. Below are the names of the popular beaches of Goa that provides you a serene paradise to make your vacation memorable along with charming view, where you can spend quality time with your family and friends. Baga Beach in Goa is famous for its enjoyable seafood that is offered there. Baga beach is charming from sunrise to sunset. The life of night at Baga beach in Goa is even more marvelous. Baga Beach is the habitat to some of the marvelous nightclubs which are always crowded with the dance freaks. As the sun sets down, party mode is on at Baga beach. Baga Beach is a very popular visitor’s attraction of Goa. Baga beach is one of the most famous Goa beaches. Baga beach is also popular for water sports activities like parasailing, jet ski, surfing, snorkeling, kayaking and many more. Baga beach is also popular for Adventurous Activities in Goa like fishing. Doing shopping at the Baga Beach Market is the best experience in itself. The best months to explore Baga beach is from October to February. 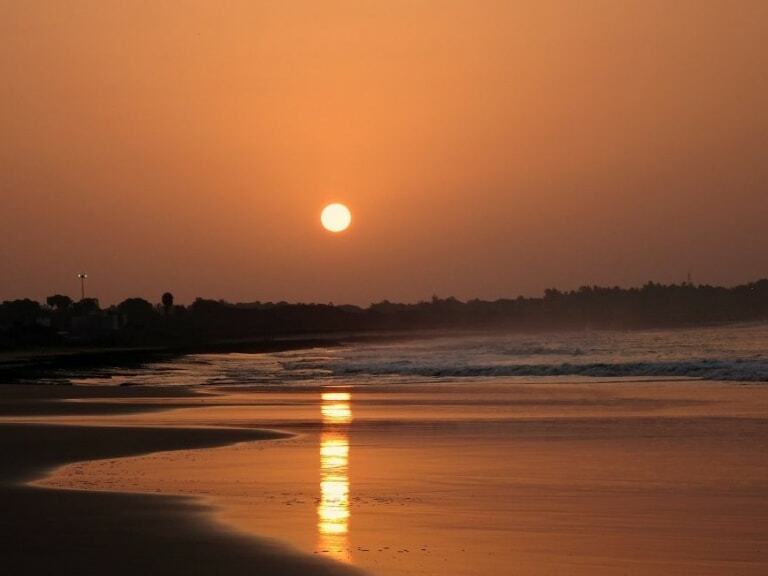 Calangute also called as ‘Queen of beaches’ in Goa and also counted among the best beaches in Goa. Calangute Beach in Goa is also a popular tourist attraction not to miss in a Goa tour package while visiting Goa. Calangute beach is vast with soft sand but the sea is rigid. An aspect of the sunrise and sunset at the Beach is a bewitching experience. 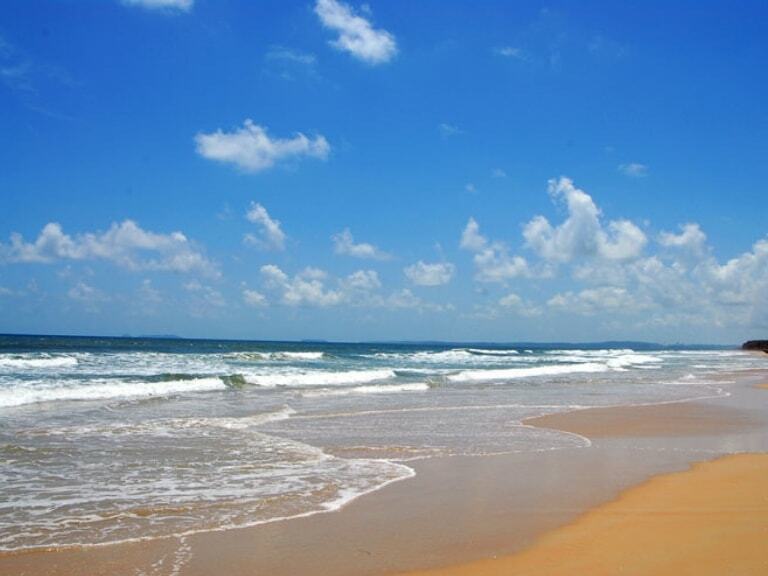 The best months to explore Calangute beach is from November to March. Visitors here at Goa spend quality time sunbathing so do they explore refresh sea breezes in the Beach. So it is very natural that it is overpopulated in Calangute Beach. Calangute beach is very popular for its water sports activities. One can explore and get an experience of Parasailing, water surfing, banana ride, bumper ride, speed boat ride, and jet-ski. This beach is often pictured in encouragement Tourism of Goa. Calangute beach is more popular among visitors due to the availability of restaurants, shopping, water activities, etc. Vagator Beach is a part of a 35-kilometer distance of beach coast along the west coast of Goa. It is coated with soft white sand, enclosed by coconut trees and huge black rocks. This beach is among the top leading places to visit in Goa. Vagator Beach is considered safer for swimming than any other Beach. There are a vast number of restaurants and cafes near the Vagator beach that offers some delicious seafood and soft drinks. There is a classic handicrafts market where you can buy for classic handicrafts like earthen pots and cane baskets as well as clothes. The best time to visit Vagator beach is from November to February. Vagator provides a very beautiful sunset view. A lot of adventure water activities is available at Vagator beach including speedboat & water scooters. Colva Beach is among the oldest and the largest Beaches in Goa. It is the most amazing beaches located in South Goa. The beach dwells of about 25 kilometers of the soft white sand and is bordered along its coastline by coconut trees and palm trees. Colva is one of the top beaches situated in the state of Goa. Colva located in Southern part of Goa is the most happening beach, especially for shopping and nightlife. Colva beach is full of cafes and restaurants. Water sports activities on Colva Beach aims mainly of jet skiing and speed boat rides. Colva Beach at Goa has never been an amusing location for rave parties; Colva’s nightlife is bright and dynamic. 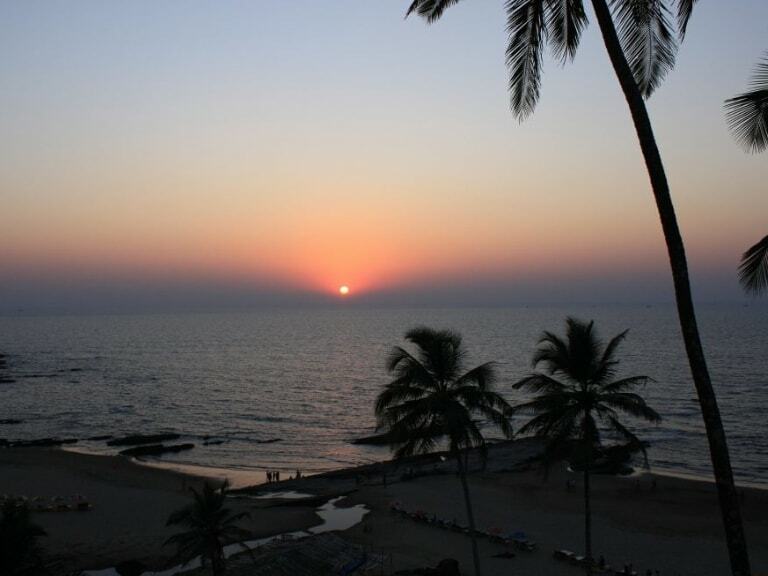 The best month to visit Colva beach is from November to March. Colva beach is quite crowded, especially on weekends. Palolem Beach is also known as ‘Paradise Beach’. Palolem Beach is a crescent-shaped beach. Palolem beach is about a mile long and it gives privacy and picturesque scenery. Palolem Beach in Goa provides a beautiful location for all types of visitors with different rates varying throughout the season. The month for visiting Palolem beach in Goa usually begins around the end of October and lasts until the end of May. There is a lot of eating shacks at the beach serving great seafood to eat. There are a vast number of bars and cafes at the beach; a few of them open till late at night, so you won’t miss the nightlife. Water Sports Activities including Scuba diving in Goa; Kayaking and trekking tours are applicable here. Here you can also get a chance to view cute Dolphins quite closely. Palolem beach is an absolute destination for viewing sunrise or sunset. 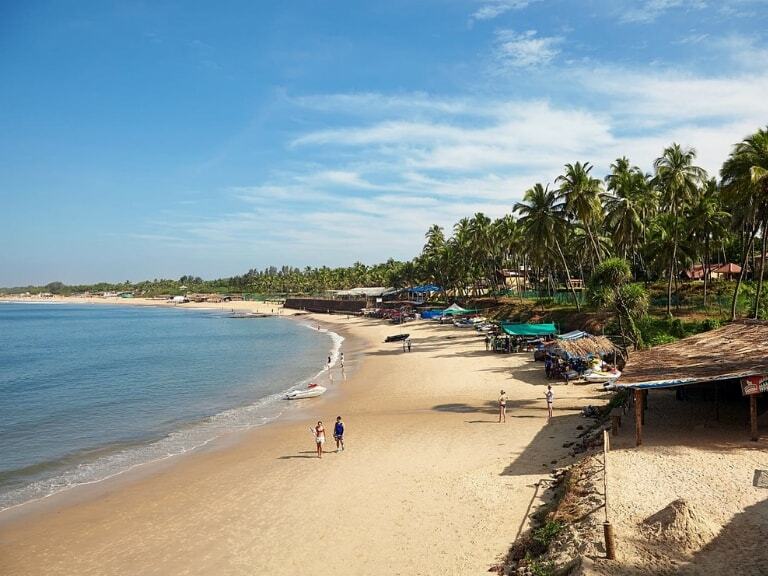 Anjuna beach is famous for its dazzling natural and serene beauty with coconut trees and soft white sand. The rave parties here are popular all over Goa and the world and attract foreign visitors as well as domestic visitors. The beach is next to Chapora Fort. Anjuna Beach offers a pleasurable shopping experience with quality products at reasonable prices. The waters here are safe for swimming and the beach is ideal for warm yourself and relaxing which attracts a lot of international visitors at Anjuna Beach. Ashwem Beach is the best spot for sunbathing, relaxing and swimming, walking, eating and many more. Ashwem beach is the most excellent place for swimming. Ashwem beach is one of the Top Beaches in North Goa. Ashwem Beach offers an opportunity to relax on an Ashwem beach. Ashwem beach in Goa is simply divine, wide, quiet and picturesque with a turtle. Ashwem beach is special because you will find absolutely no visitors, no stalls, no restaurants or cafe, nothing just the trees, the beach, the beautiful ocean and you. Ashwem beach is one of the best-kept secrets of North Goa. 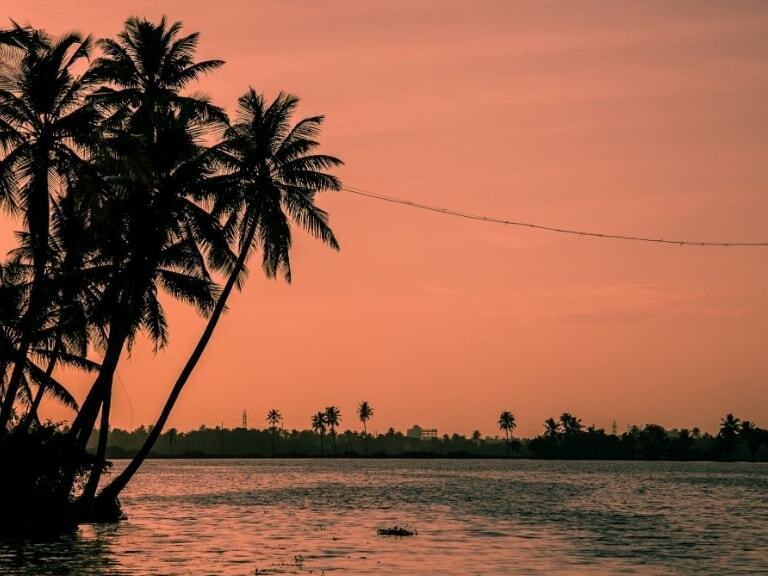 Located to the north of the capital city of Panaji, this beach provides delightful ocean glimpse bordered by the green fronds of the coconut palms that pepper the shore. Candolim Beach in Goa is located between Sinquerim beach and Calangute beach. Candolim Beach is another relatively soft sandy beach that due to erosion can be narrow in some places. Candolim Beach offers various water sports activities like parasailing, water skiing, windsurfing and so on. Fishing is a water activity for those who love a peaceful and quiet environment in Goa. Yoga and meditation have also gained popularity here because of the peaceful atmosphere. Aguada Fort is the greatest tourist attraction of Candolim Beach. Visitors of Goa here usually shop for typical handicrafts, brassware, shell work, and casual garments. Tourists in Candolim Beach can avail different accommodation, ranging from budget hotels to 5-star hotels. 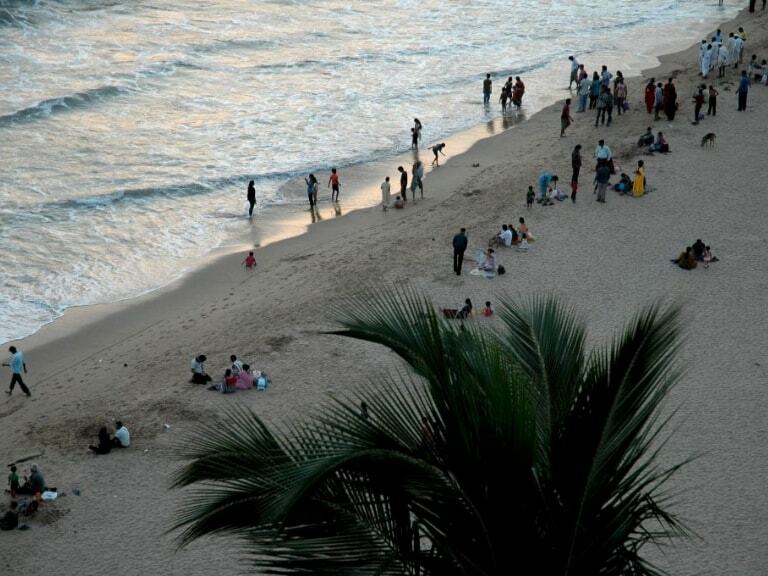 The season for visiting Candolim beach usually establishes around the end of October and lasts until the end of March. The Miramar Beach is said to be one of the crystal clear beaches in Goa and it offers the chance to view the serene sunset. It is a romantic gateway for adventure lovers, beach lovers, and newly married couples. Miramar beach also offers bliss and delight with some curious adventurous activities like fishing, bird watching, shopping. Swimming at Miramar Beach is not safe because of strong undercurrent. Miramar beach is an ideal place for evening walks. At the Miramar beach, many Adventure Water Sports like scuba diving, jet skiing, water surfing, and fishing can be enjoyed. The beach is rushed with domestic and foreign tourists alike on most days. The months for visiting Miramar beach usually begins around the end of October and lasts until the end of March. Majorda beach is covered with a lot of palm trees. Some of the most popular hotels of Goa are found here and thus it is quite a popular place for a holiday. The calm and crystal clear waters of Majorda Beach are ideal for swimming, though it is advisable to stay close to the sea shores, especially if you don’t know swimming. Majorda is also an ideal place for leisure activities and water sports activities which includes jet skiing, water skiing, parasailing and etc. The seafood in Majorda Beach is quite diverse and the taste is delicious. The season for exploring Majorda beach usually begins around the end of October and lasts until the end of March. Scuba Diving in Goa - Top 5 Reasons Why You Should Try ?